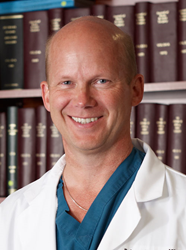 Vail knee surgeon Dr. Robert LaPrade has redesigned his website DRLAPRADE.COM to improve access to information on the causes and treatments of acute and chronic knee pain for both patients and medical professionals. This website has been redesigned to help both patients and medical professionals gain a better understanding of the anatomy of the knee, causes of knee pain, and current treatment options available. Top Colorado knee surgeon at The Steadman Clinic in Vail, Colorado, Robert LaPrade, MD PhD has launched an updated version of his educational website DRLAPRADE.COM developed by eMedical Media. This website has been redesigned to help both patients and medical professionals gain a better understanding of the anatomy of the knee, causes of knee pain, and current treatment options available. Internationally recognized for his expertise in complex knee injuries, Dr. LaPrade is committed to educating other orthopedic surgeons on the best techniques for treating multi-ligament knee injuries. Dr. LaPrade created this website to help patients advocate for their own best care and to provide medical professionals worldwide with access to research and innovative treatment techniques. The knee is the largest joint in the body – multi-directional movement makes it extremely susceptible to injury. Through this educational portal, patients and medical professionals can increase their knowledge of knee pathology and the current treatment options available. As a clinician, Vail knee surgeon Dr. LaPrade and his team are dedicated to keeping people of all ages active by providing the most progressive treatment for sports injuries and orthopedic disorders. For patients seeking a diagnosis or second opinion, Dr. LaPrade offers film reviews and consultations. Recognized as a top Colorado knee surgeon, Dr. LaPrade has returned many patients of all levels including Olympic, professional, collegiate and weekend warriors back to full participation after treating new injuries or previously failed knee surgeries. Dr. LaPrade specializes in the diagnosis and treatment of injuries to the posterolateral knee (PLC), PCL, revision ACL reconstructions, meniscal transplants and all complex knee injuries.